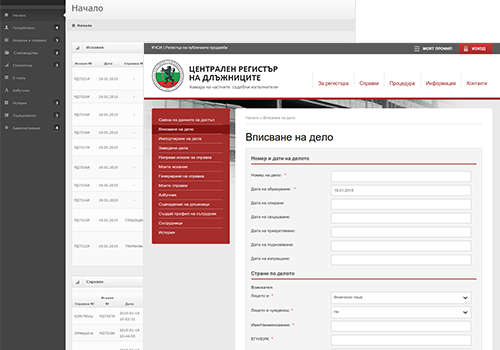 The Bulgarian Chamber of Private Enforcement Agents (BCPEA) selected us to execute a much-needed overhaul of the Central Register of Debtors - a centralised database of private enforcement cases within the country managed by the organisation. The Bulgarian Chamber of Private Enforcement Agents (BCPEA) is the professional organization which ensures the regulatory compliance, ethics and standards of all Private Enforcement Agents (PEAs) in Bulgaria. It is also responsible for maintaining the Central Register of Debtors, a centralized database of private enforcement cases within the country. 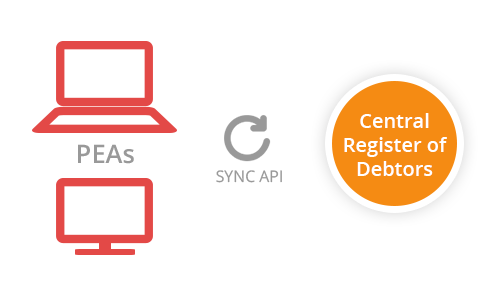 Having previously developed a custom web portal for the advertisement and sale of seized property for BCPEA, we were their agency of choice to execute a much needed overhaul of the Central Register of Debtors case management system. In addition to years of old legacy code that had become difficult to maintain, their existing system could no longer cope with the large amount of data on users, cases and payments that had accumulated. The lack of automated processes for routine tasks had also resulted in inefficiencies that needed to be addressed. In view of the extensive changes that would be required, we built a completely new system based on an MVC PHP framework and PostgreSQL to replace BCPEA’s outmoded one, introducing an optimized workflow for requesting and generating reports. For the interface, we created a responsive Bootstrap theme to ensure the register would work seamlessly across desktops, tablets and smartphones. 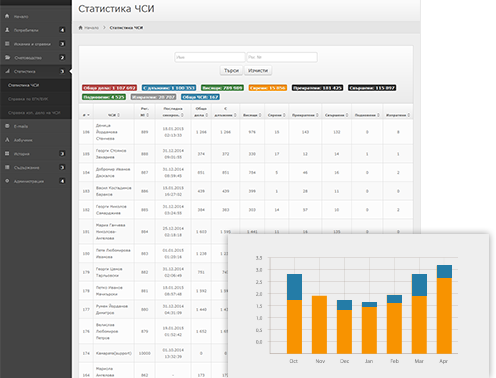 Our solution also extended existing functionality to support advanced features including role-specific user accounts, real time online reports, accounting and billing tools, automatic synchronization and case-related statistical reports. An account system with support for multiple roles was created, allowing greater control over access and authorization to the register. Users assigned to different roles are granted access to different interfaces and functions, customized according to whether the user is a PEA, corporate client or administrative staff. With the new case management system, PEAs and corporate clients of BCPEA have instant remote access to the register over the Internet. This enables them to check in real-time whether a person is involved in other proceedings or has outstanding debt. Users who have to submit a request and pay to obtain a report, such as financial institutions or private individuals, can do so online via a secure interface. Their reports are automatically generated by the system and can be issued at the office of any local PEA. To simplify the billing process when a report is ordered, we incorporated the ability for administrative staff to generate invoices, credit notes and other financial documents with just a few clicks. 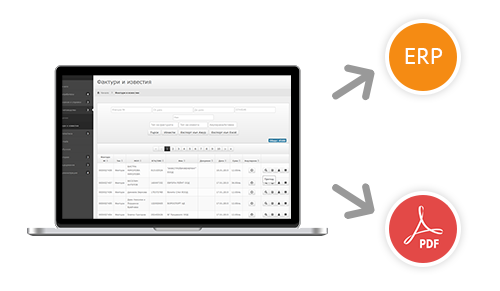 The system also automatically matches all payments with the respective invoices using a unique number that is generated for each report requested. Additionally, information on transactions, invoices and payments can be exported to an ERP system for internal use. On top of the existing option to manually synchronize the Register of Debtors with the specialized software used by PEAs in their offices, we implemented a custom API that would automate this process, removing the need to generate and upload files on a daily basis. To facilitate the work of PEAs, we added a statistics module that extracts data from the system to produce reports on user account activity, the number of closed, pending, renewed or open cases, case-related figures and other useful statistics. The custom case management system we built allowed BCPEA to manage their database of private enforcement cases more efficiently and effectively. The new system successfully supports more than a hundreds of users and is used to manage information from over one million cases.